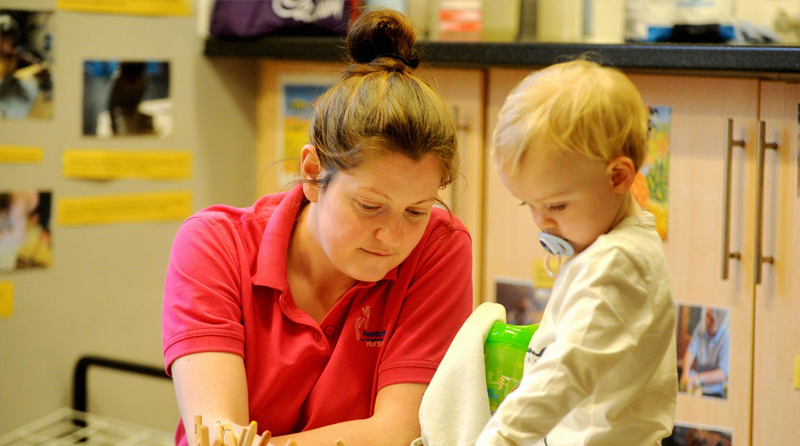 Footsteps Nursery in Workington was rated as ‘outstanding’ by Ofsted for the third time in a row. The nursery was inspected in four areas: the effectiveness of leadership and management; quality of teaching, learning and assessment; personal development, behaviour and welfare; and outcomes for children. As quoted in the News & Star, Ofsted inspector, Carys Millican, said: “The nursery benefits from the outstanding and inspirational leadership of the manager and the exceptional practice of the highly-qualified and motivated staff team. The nursery’s manager, Karen Fisher, said to the News & Star: “On a personal level, I cannot think of a better way for me to celebrate 40 years of working in the world of early years education. “Constant staff development is behind the nursery’s success”, said Mrs Fisher. “We invest very heavily on this, I’ve always believed that you never stop learning – the man who’s really educated is the one who’s willing to learn and knows how to learn,” she said. Footsteps Nursery, which opened 14 years ago, and is owned by Westfield Housing Association, was first rated ‘outstanding’ in 2010. It is also a part of Edinburgh Froebel Network. Mrs Fisher was delighted with the inspector’s comments on leadership and management. She said: “Inspiring 38 members of staff on a daily basis is a huge task itself and it’s nice for that to have been recognised. “We have Froebel to thank for reminding us to maintain a totally child-centred environment, giving our children the freedom to learn through play whilst guiding them with a sensitive, caring hand” added Mrs Fisher.